How to Subpoena Records from Wells Fargo? How To Serve a Subpoena on Wells Fargo? Do you need to serve a subpoena on Wells Fargo Bank? 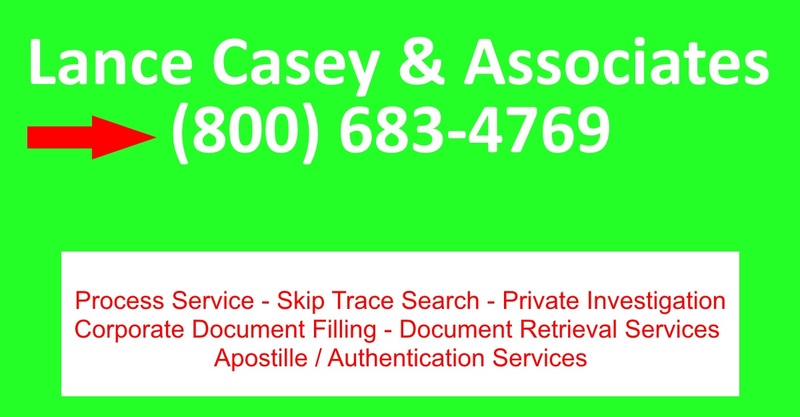 Sacramento's #1 Process Server Lance Casey & Associates will serve your subpoena. The Process is easy. Complete the online form below and upload your documents, email your documents to Ljkc916@gmail.com or fax your documents to (916) 244-2636. We will personally serve your documents to Wells Fargo's Registered agent. After service of process, a proof of service form will be emailed to you and the original will be mailed to you. Who is Wells Fargo's Agent for Service of Process in California? 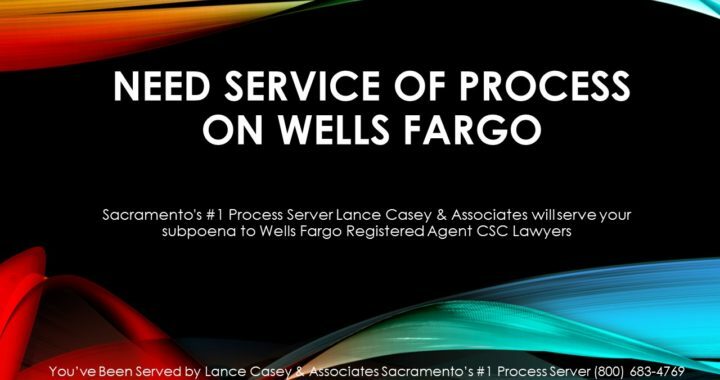 Sacramento's #1 Process Server Lance Casey & Associates serves subpoenas in Sacramento to the corporate agent for service of process for several Wells Fargo entities, including Wells Fargo Bank, NA, Wells Fargo Bank, Ltd., and Wells Fargo & Company is Corporation Service Company which will do business in California as CSC - Lawyers Incorporating Service. As the registered agent, CSC accepts service of legal documents (e.g., lawsuits, subpoenas, other legal notices, etc.) on behalf of Wells Fargo. We serve Corporation Service Company daily. Process Service fee is $125. List the total number of parties to serve. List the names of the parties being served to be listed on the proof of service forms. Example "Amazon.com, LLC"
The listed items will be listed on the proof of service form. Please list the court address and the county. Your proof of service will be mailed to this address. This entry was posted in Uncategorized on January 16, 2018 by admin.